Born in Osaka in 1958. He graduated from Osaka Prefectural University, where he majored in electrical engineering. 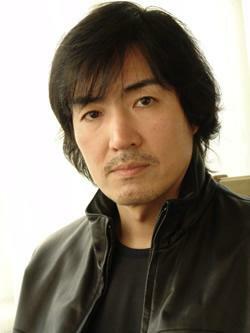 He wrote novels while working as an engineer, and made his debut as a novelist in 1985 with After School, which won him the Edogawa Rampo Award. As a full-time writer, he won the Japan Mystery Writers Association Award for Himitsu in 1999. The novel earned a good reputation, was made into a movie starring Ryoko Hirosue, and is currently being developed for a remake by Luc Besson. Higashino won the prestigious Naoki Award for Devotion of Suspect X in 2005. Among other works by him, g@me, Lakeside (Shinji Aoyama's Lakeside Murder Case) and Henshin received movie adaptations. Most recently, Byakuyako (with Takayuki Yamada) was televised. Dorothy Dec 11 2017 12:44 pm I just discovered Keigo Higashino when I was searching for mysteries for my book club to read. I chose The Devotion of Suspect X and look forward to the discussion of the book with my friends. Then I looked up Higashino and discovered he is a prolific writer, delving into mysteries and stories for children. I look forward to reading more of Higashino's work! Jay Quintana Mar 20 2017 1:16 am How is this man able to write so much? I ask with respect and jealousy. Louanne Kaye Oct 28 2013 8:36 pm Devotion of Suspect X was my first book by this author. I will definitely read more of his writing.